When we think about meditation, we might think about a very individualized activity – something that is intended to ground us as people, to guide our inner workings, and to calm a nervous soul. But meditation can accomplish so much more than that if we stretch our understanding to how it can apply in our relationships. 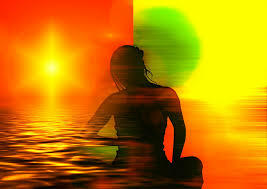 How often are you granting yourself the time to sit in a quiet space for effective meditation? How comfortable are you with freeing yourself to remember the moments of happiness in your life and to imagine new ones? How willing are you to let go of those feelings, to give yourself the space to create a new reality in your connections to others? One of the greatest gifts we can give ourselves is the time to step away from the busyness of everyday life, to create moments in which we allow ourselves to be immersed only in the present. We call this the gift of mindfulness. But why is mindfulness such a gift and why it is so helpful to create space for it in our daily routines? It’s because mindfulness allows us to slow down the worries and trappings that our mind engages in when we focus on things other than the present or when we are too focused on what we must do versus what we are doing. Consider this: When we aren’t focused on just experiencing the present for what it is, where do our minds go? For some, we plan – we think about our to-do list, the things we are concerned about over the coming days or weeks; or, perhaps we fear an unknown future. For others, our minds wander back to memories – the regrets, that “what-ifs.” While there is value in reflection, and there is certainly value in being prepared, a total focus on these keeps our minds away from a place of rest, of simply existing and appreciating the moment we are living in. 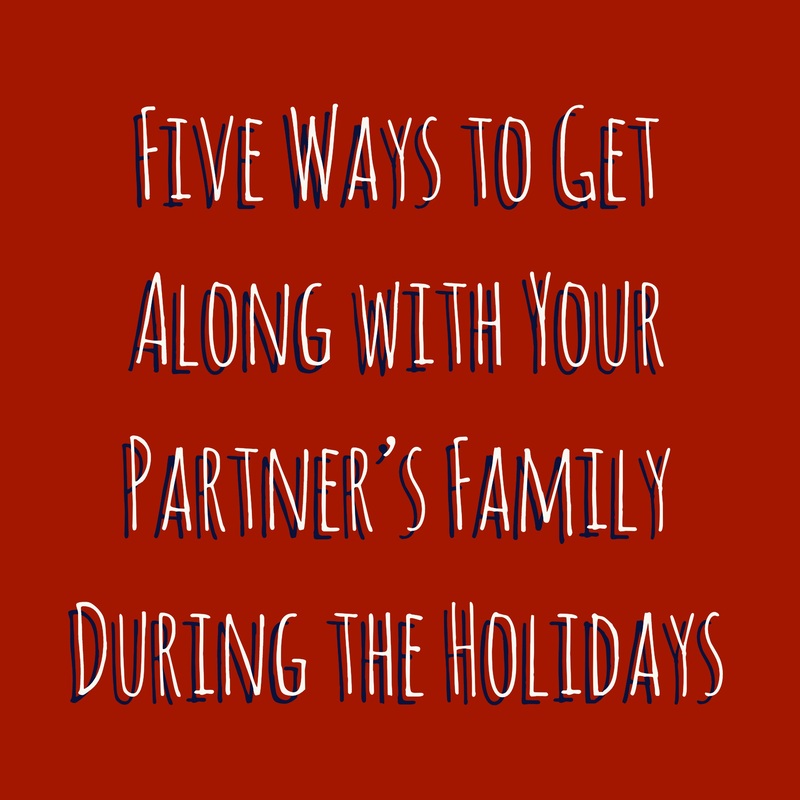 It can be productive at times, but also exhausting. When we allow ourselves to immerse in only the present, without intention or a goal of what must be done, we give our cognition a deserved break. We allow our mind, our emotions, and our body, a chance to recharge and refocus. These moments allow us to be better equipped to face our challenges, our to-dos – they re-energize us and allow us to move closer to attaining the things that give us purpose. Let’s take a moment to reflect on where you are at today. Right now, in this present moment, where are your thoughts leading? What sensations is your body experiencing? Take a breath and pause, giving yourself the time to reflect on these experiences. 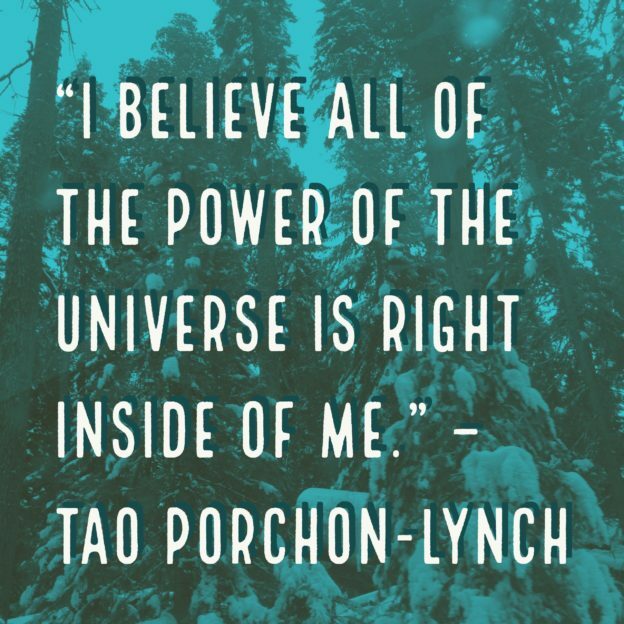 Then, give yourself permission to take a break and watch the following, a Ted Talk delivered by the eclectic Tao Porchon-Lynch. We’ve selected this video because through the sharing of her story, Tao doesn’t just calm us – she also inspires. One of the key takeaways from Tao’s life is a determination to focus wholly on what she can do, not what she can’t. It’s a lesson that we can reflect on once we’ve given ourselves the space to calm our minds. Ask yourself – how often do you find yourself focusing on the things you aren’t capable of versus the things you are? What feelings are attached to this: Shame? Fear? Regret? Journal regularly as a way of centering: For those who struggle with controlling their thoughts, try stopping and reflecting as these thoughts arise throughout the day. Write down the thoughts when they occur, what caused them, and what you did to reframe your thinking. Mindfulness: At least once per day, review your journal. Once you’ve walked through the initial steps of centering, focus your attention on the issue of having these “I can’t” thoughts – process only those events and feelings, and allow yourself to accept that they happened. Don’t try to fix the issue – just reflect. Through the above, we can work to not just shift our thinking, but can also give ourselves the room we need to truly grow into more self-loving people. Mindfulness and inspiration alone aren’t enough – we must also make a commitment to engage in these and be willing to do the work required to create positive impacts on our lives. When you look back upon your life, of the triumphs you’ve celebrated and the trials you’ve faced, what perception do you hold of the hard times? For many of us, we tend to gloss over or avoid thinking about the struggles we have experienced. This might be because these memories are too painful to face, that we hold a sense of shame over mistakes we have made, or that we feel compelled to focus only on the happy times. In this video, we learn about another way to reflect on the hard times in life, on those times that changed us, marked us, or made us feel powerless. Take a look below to see this perspective explained. This video does a beautiful job of sharing a new way of thinking about our “scars” – that they are not something to be ashamed of, but something to be celebrated. That if we imagine that the troubles we have gone through have actually made us stronger, that we are empowered to see the beauty in these experiences and feel pride in our ability to survive and grow. Unfortunately, at least for some of us, we’ve already engrained beliefs about the hard times in our lives. Maybe we choose to ignore these experiences, pretend they didn’t happen, or minimize how they affected us. Let’s take a look at a method for shifting our perspective about our past and actively switching to finding the beauty in the negative events we have gone through. Think about a time in your life that left a “scar” – an emotional wound that has stayed with you over the months or years. This might be a memory from childhood, a loss, a stressful event or time period. Hold onto that memory for a moment without judgement or analysis. Now, walk yourself through that memory. What happened? How did you feel when it happened? What were your thoughts while this happened? Think about the effects of this event – but instead of thinking of the negatives, what positives arose out of this? In what ways did you change, cope, survive? 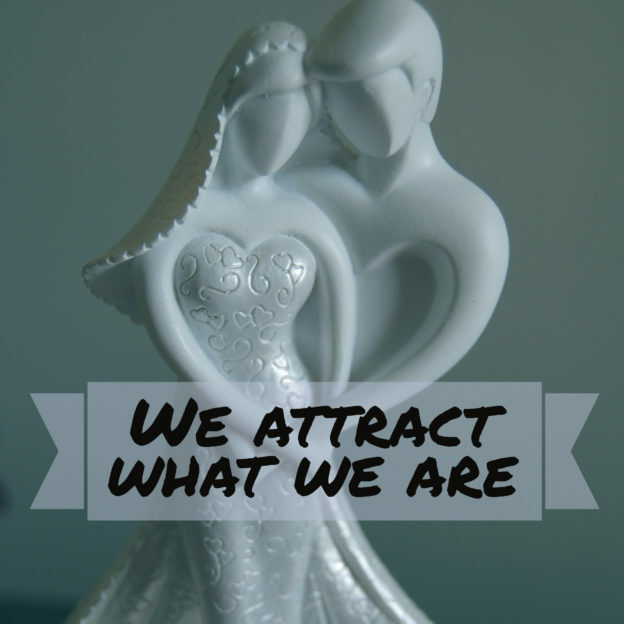 What gifts has that growth in yourself bestowed on you since this event? Make a list of these and make sure they are sincere. Next, share gratitude. This may not happen right away and that’s okay. If it doesn’t, engage in this process a few more times, always focusing on the gifts of the event until you feel in your heart true thankfulness for what happened because of these positive impacts. 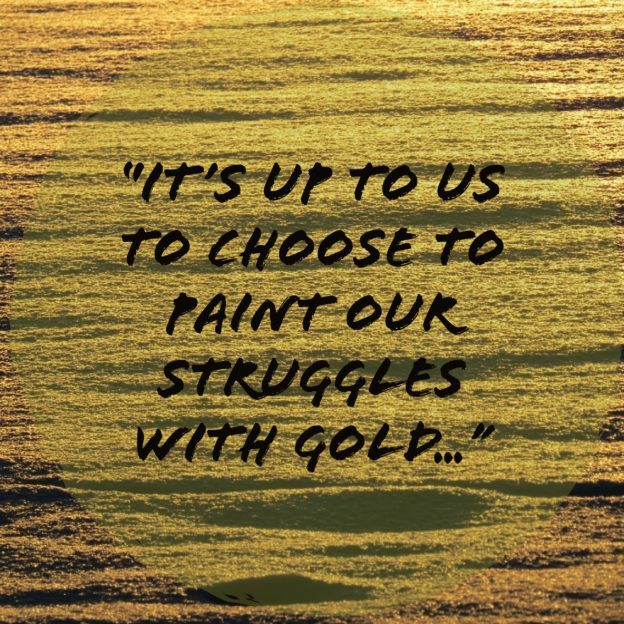 Finally, fill the “scar” with gold – accept that the event happened and that it has shaped who you are. That this event, no matter how painful at the time, has changed who you are for the better and given you an experience that prepared you for what was to come in your life. As you fill your scars with gold, know that it can be painful and hard. Thinking about the past can bring out unexpected feelings. Take your time and know that this growth, while difficult, can eventually restore your thinking about hard times and give you a sense of fulfillment over all that you’ve accomplished by living through them. If we look at the ways that our society functions and how we are expected to act and interact with others, it’s clear (at least in the western world) that we have ascribed to a set of values that are markedly different from the way in which we evolved. These values, the ways we strive to live our lives, include things like individualism, order, and rational thinking. But if we look back in the course of human history up until very recently, we see that this simply wasn’t the way we functioned. In fact, modern society forces our brains to operate in a way that is antithetical to how our forefathers thrived in the pre-industrial era. In this video from TedX San Diego, speaker Martha Beck leads us on a journey through her thoughts on this, including the specific ways our modern world forces us to go against our nature and what she describes as the “four technologies of magic” – those techniques or skills that we can use to bring us closer to embracing the ways our ancestors solved problems. Let’s consider some of the themes of this video and the four technologies themselves – how can we take these lessons and integrate them into the way we approach our own problem-solving process? First, consider the idea that we evolved from chaos – that human beings survived and thrived in situations in which we needed to be engaged with all five of our senses equally. Compare this to what senses we have been taught to give attention to, and which subjects to focus on – instead of observing the world around us openly, we have been taught to focus on one thing at a time and only through those senses that can give us information about our subject. What if, instead of trying to work through our problems with this “tunnel-vision” approach, we tried opening up our senses more fully and let our unconscious brain do some of the work? This activity is described by the first technology – wordlessness, or moving away from the rational part of our brain and allowing ourselves to perceive the things around us more fully. The next technology, oneness, is described as the understanding that we are all connected to each other; that our bodies are bundles of energy interacting with all the other bundles of energy around us. Through this acceptance, we can start to understand that we each have a purpose in the world, and that it is impossible to attempt to solve problems individually, because we are inseparable from the energy of others. The third and fourth technologies are imagination and forming – that we are capable of imagining something that has never existed before and actually creating it. These magic technologies are what allowed our ancestors to thrive long before the assistance of modern tools. If we can accept that we are capable of both of these and practice these skills in our own lives, we too can see positive change through them. As an example, let’s apply these to someone who experiences anxiety. It might be tempting to talk away the anxiety, to examine it rationally. And this might be effective to an extent. But if we apply the four technologies, how might coping with anxiety be different? Wordlessness: We pause and observe with our five senses the world around us, without passing the observations through our rational lens or trying to change things. This means simply feeling anxiety without trying to fix it. 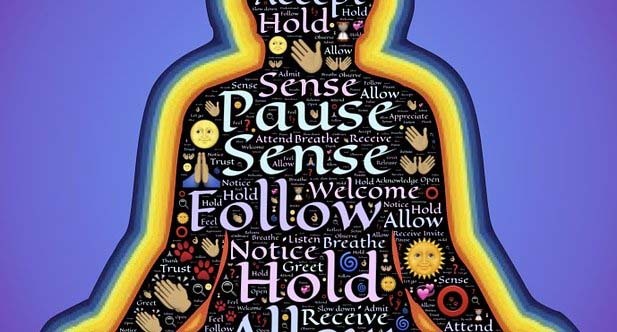 Oneness: We accept that our anxiety is part of our energy in the present moment, and this energy is connected to all of the other energy around us. Imagination: We take our observations and acceptance, and imagine a new reality – what would it feel like to not live with anxiety? How would we function? How would our days go? Forming: We take the steps needed to reach that imagined reality, either by living our life the way we wish to or completing tasks that get us closer to that. Through the four technologies, we can move closer to living life in a way that brings us a more harmonious approach to how we see the world. Try some of these and consider how it changes your perception of the events and people around you.